Here's our latest Analytics for our #New #Bla.. Here's our latest Analytics for our #New #BlastFM #Kpop Station. 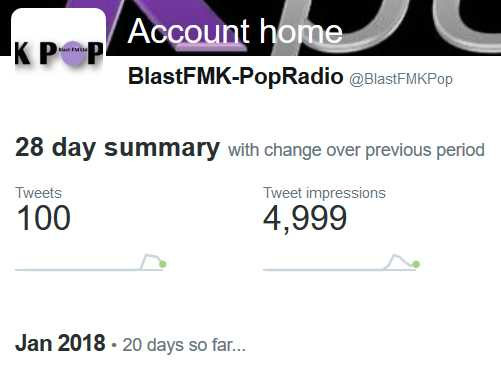 We launched on Jan 13th, and just one week into the deal, come see just how popular our #kpopstation is only 100 tweets into the month.